Ninety three years ago, in the early hours of 2 February, the peace treaty between the Republic of Estonia and Soviet Russia that ended the Estonian War of Independence and established the eastern border of Estonia was signed in Tartu. With this treaty, Soviet Russia recognised the independent Republic of Estonia. 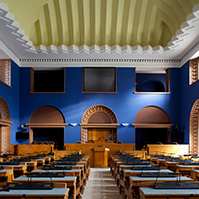 The birth of the Republic of Estonia had been declared nearly two years before, when the Manifesto to All Peoples of Estonia was read out publicly in Pärnu and then in Tallinn, and also distributed in printed form. 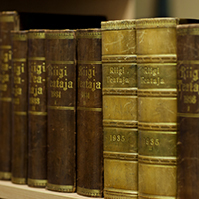 The state of Estonia existed, but without international recognition. The first recognition was gained in Tartu. Therefore President Lennart Meri called the Tartu Peace Treaty, one of the fundamental documents of the Republic of Estonia, the birth certificate of our country. One of the ideas characteristic of the way of thinking of the great powers is that large countries have emerged as a result of purposeful development, but the existence of small countries is a kind of an accident. Like during the time between the world wars of the 20th century, now, too, there are those who say, “Fate just played those two chances into your hand in the 20th century.” Our proud answer to that is: “In the 20th century we had two possibilities to gain independence, and we used them both!”. Actually life consists of chances and possibilities – the small, the big and the very big ones. All states, both large and small, have come into being by chance, millions of chances. But fortune favours the bold. And especially in the case of small countries, the bold have made use of their possibilities. 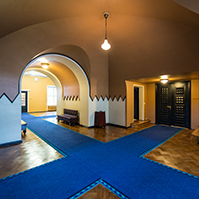 The birth of the state of Estonia required boldness, bravery and decisiveness, and certainly an amount of idealism. 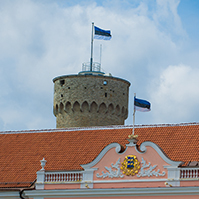 The aims set at the time of the creation of the Republic of Estonia and the Estonian War of Independence might have seemed to be unfounded ideals, but history has proven them right. Who has more idealism and courage to decide than high school students? What can be nobler for a soldier than to fight for his land and his country? Bravery and enthusiasm over the possibility to create their own country united schoolboys and our talented military leaders during the first days of the War of Independence. In this combination, common and powerful energy emerged, common mindset was born. The god of war prefers to choose the side that has more enthusiasm. Estonia’s military power was first of all hidden in will and spirit, not in arms. The latter could not really be taken very seriously in the first days of the war – one rifle with some bullets per two fighters. There were no artillery, no cannons. The number of personnel, too, was smaller that that of the invaders. But by our spirit we were by far more powerful that they were. Why not paraphrase Jakob Hurt here: Estonia won the war and thus became great not by the might of arms or the number of the bearers of arms, but thanks to the spirit of the fighters. In wars, many things are accidental, lots of unpredictable things can happen in the course of battles. But the spirit, mindset cannot be accidental. Mindset is something we acquire from home and from school. Most often the mindset is created and spread by example. When we speak about the spirit and mindset of the War of Independence, we do not keep in mind the spirit of war, but something more inclusive and larger. And the spirit of the Tartu Peace Treaty is not only connected with the great work done and the results achieved by the delegation headed by Jaan Poska. It has a much wider meaning for us. I doubt if it can be precisely defined at all. 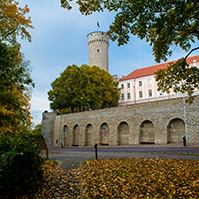 Without doubt it is very important that for nearly a century both the War of Independence and the Tartu Peace Treaty have been inexhaustible sources of spiritual strength for the people of Estonia. One of the cornerstones of the defence conception of Estonia today is the international military cooperation. It includes both regular defence consultations and practical military cooperation in crisis regions. The Estonian army started international cooperation long before the detailed conceptions were developed, maybe even before the official date of birth of the Estonian armed forces. But I will leave this statement to historians for discussion. International support to our young, even unrecognised state was extremely important and necessary in the War of Independence. It was expressed by giving military equipment and also by direct participation in battles. The positive moral effect accompanying the support was invaluable, it was a huge contribution to the spirit of the Estonian army. The activities of the Finnish regiments of volunteers, British light cruiser squadrons and the White Russian Northern Corps were outstanding. The support of the Latvian brigade, the Ingrian battalion, the Danish company and the Swedish volunteers was not less noteworthy. The independence of Estonia was defended and reinforced in international cooperation. Although Estonia had not yet been recognised as a state, it was not alone, it had strong and very important support. It would be unfair to compare by the possibilities, training and arms the army of Estonia as a NATO member state with the units that formed during the first weeks of the War of Independence. But the will to defend, without which there is no defence capability, can be compared. Even the best and the most modern equipment cannot compensate that. Estonia’s defence capability is founded on primary independent defence capability and NATO collective defence. We must be able to defend ourselves until the allies arrive. Do the young people of Estonia today have enough will to defend? I am an optimist. Meetings with young people in schools have convinced me: should there really be a need for it, they will go to defend the Republic of Estonia. They would even return from their studies abroad and go. Our young people are ready to fight for the independent Estonia and its values even in a war, if necessary. 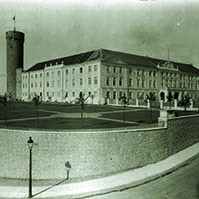 The popularity of national defence education in Estonian schools is growing. Ten years ago national defence was taught at 46 schools, by how the number of such schools has increased by almost one hundred. National defence education is not at all the same thing as military training. The latter is only a part of it. In the school curricula, there are also such subjects as civic education and personal and social education that are closely connected with national defence education. The purpose of national defence education is to teach how to protect and defend your people and your country. A soldier is also a part of a nation and a state. A soldier has two main obligations in a war: to perform a combat mission and to stay alive. Sometimes it is not achieved; battles are often won at the cost of life. But even if only one life is lost in a battle, the victory cannot be considered absolute. The officers, the military leaders are responsible not only for the success of combat operations, but also for the life and health of soldiers. Soldiers defend their country and their people, therefore the state and the society are responsible for soldiers. The attention the society pays to the work and problems of the members of the Defence Forces should be greater than it has been so far. Members of the Defence Forces should be respected in the society. I hope that the Veterans Day that will be celebrated this year for the first time in Estonia on 23 April will contribute to that. Our veterans are the men and women who have participated mainly in international military operations. They deserve to be noticed and acknowledged. It is said that Soviet Russia has never thought that the Tartu Peace Treaty and the borders established by it are binding or to be taken seriously. Signing the Treaty had been just a tactical step taken in order to gain time. Maybe it really was so. This can be proven by the attempted coup in December 1924 that was directed across the border, and the events in 1939 and 1940 which ended in the occupation of the Republic of Estonia. It is also said directly: “The Tartu Peace Treaty is an historical document that is of no importance today, forget it!” Naturally it offends us. It is like calling us to deny our birth and origin. The Tartu Peace Treaty is the first and until now also the last treaty which was signed on our side by the Estonian diplomats who has also conducted the peace negotiations that preceded it. World War II ended the independence of Estonia, ravaged our land and our people. But in the same way as this war was started behind our back, the peace treaties were concluded behind our back, and to our disadvantage. Therefore we are speaking about the two times twenty two years of independence of the 95-year-old Republic of Estonia. I believe that the professional skills and patriotic spirit of the Estonian diplomats of today are on the same level as the skills and spirit of the members of the negotiations delegation headed by Jaan Poska. I hope there will be no more wars on our territory and Estonia will never have to negotiate a new peace treaty. The main activity of diplomats is not smoothing the consequences of conflicts but holding negotiations to avoid conflicts. The main task of the armies of democratic states is to increase their capabilities first of all to prevent wars. The purpose of Estonia is to work and act in the name of making the Tartu Peace Treaty the last treaty we have concluded as one of the warring sides. Therefore the Tartu Peace Treaty has not only historical and legal meaning, but it is relevant also in today’s world. Happy anniversary of the Tartu Peace Treaty to you all!